The best organic,home-made,summertime baked beans…. 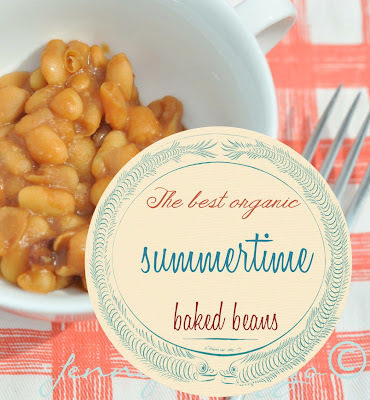 Give me some summertime baked beans. At picnics, the 4th of July,for dinner, even next to the pool, bring them on! As many if you may know we have a corn sensitivity around here. And of course,corn is in EVERYTHING. Not only is it listed on labels as corn syrup or HFCS,but it can come up as dextrose,modified food starch,corn starch,malodextrin,MSG and a few other products. I love me some good,warm,filling baked beans. In college they were a staple, and I could even eat them on baked potatoes or mixed in pasta. EVERY DAY. I found out by combining ready-made ingredients, even though they take a bit longer and more prep time, they can be just as yummy and have none of that other stuff in them. Plus, you can also make sure they are gluten-free this way. This recipe was a bit of trial and error and you may want to adjust some thing’s to your own taste. You can even add some extra things like BACON,chopped onion or green peppers. Make it your own! Add everything to a sauce pan and simmer, stirring occasionally. 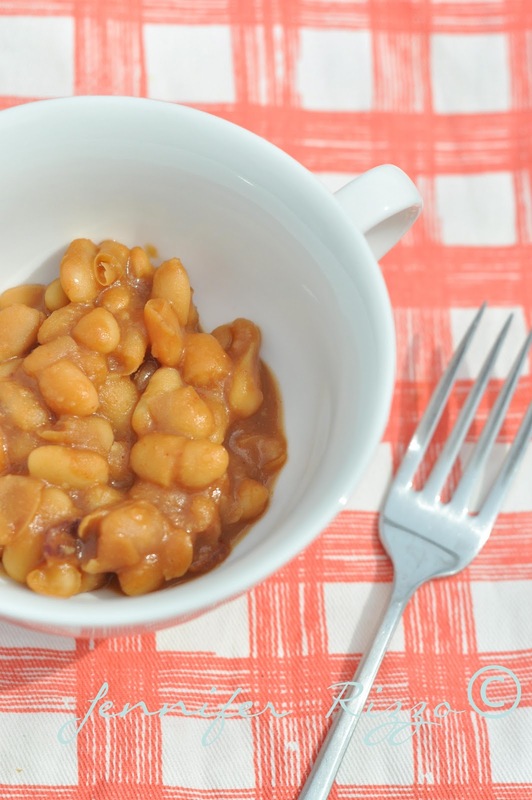 You may need to simmer for up to 45 minutes to an hour depending on how the beans soften to your taste. Simmer until the beans are slightly soft and the liquid is reduced to a thick syrup. No thickeners are needed as the starch in the bean liquid will cause the sauce to thicken.Taste as you go and check the firmness as well. If it needs more tartness, add more mustard, more sweetness, add more sugar, more zing, more BBQ. It will depend on which products you use. The best thing is you can control everything that goes in and make adjustments for any allergies. It keeps very well over night as well, so sometimes I will make it the day before so all of the flavors can blend even more. Play with clay this summer! you can still register for my e-course! click here for information about my Santos cage doll class. This looks really good, Jen! Thanks for sharing. Looks like a great recipe! I am really into organic cooking – especially since so many ingredients these days are GMOs. Definitely something to avoid – and almost all corn is grown that way. Thanks for sharing! 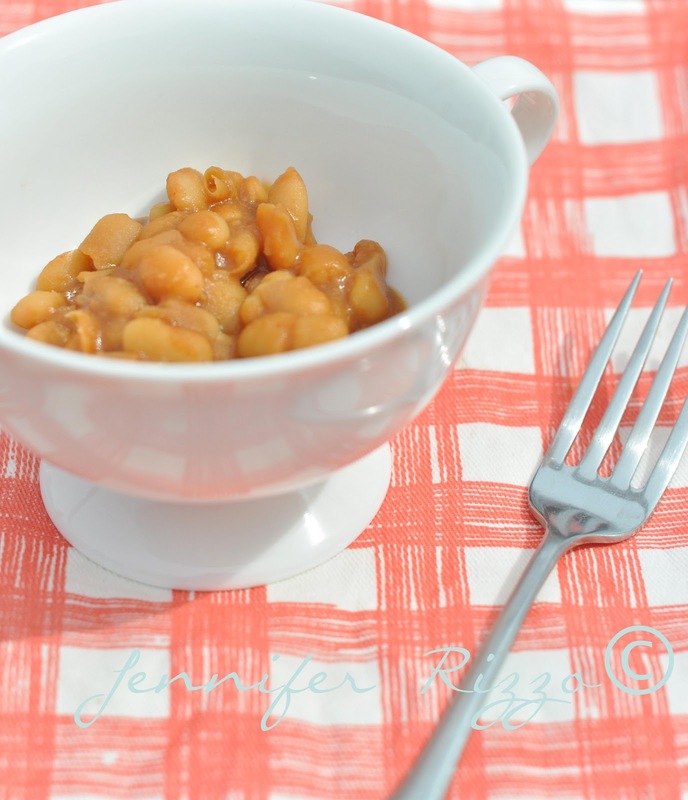 Love baked beans….thanks for the recipe. 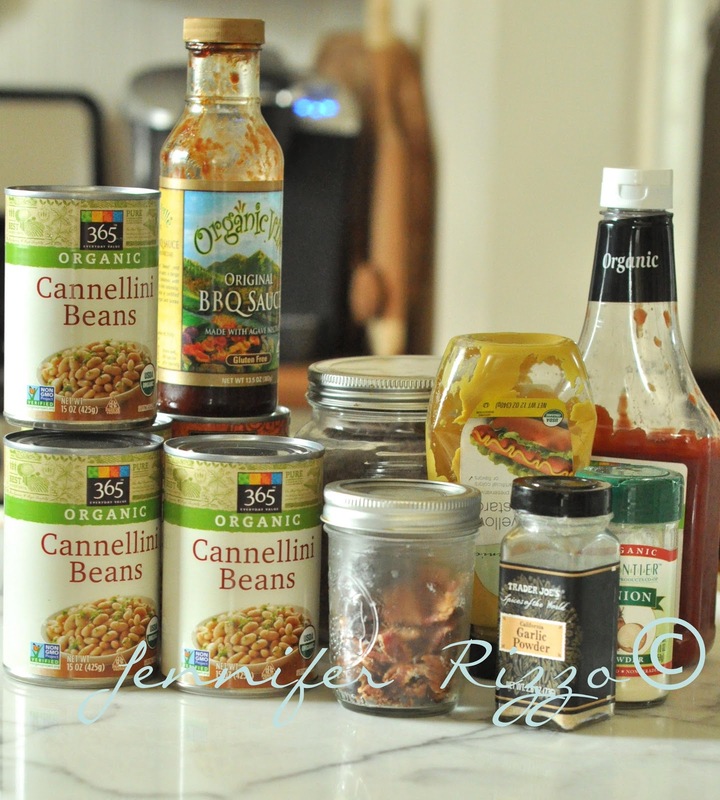 I don’t have any sensitivities to these ingredients but this looks SO good that really anyone would probably love it!